Greetings all. 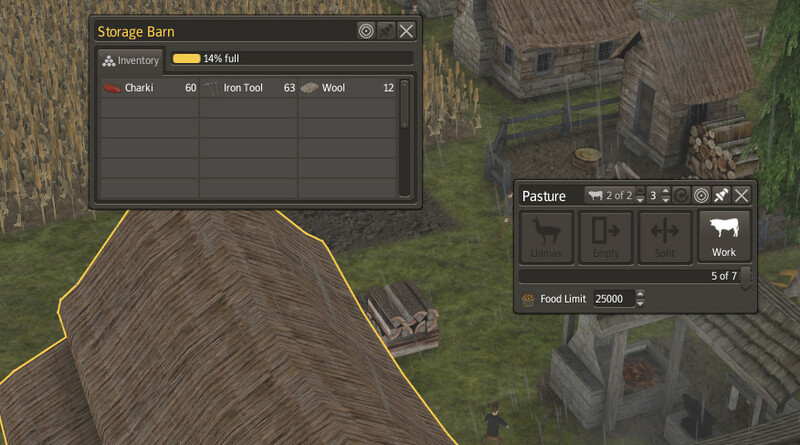 This mod adds a new animal to the game, Llamas! (or alpacas if you prefer). A critical update has been uploaded. Versions earlier than 1.2 will not be applied to a game. This is now fixed and tested in steam. 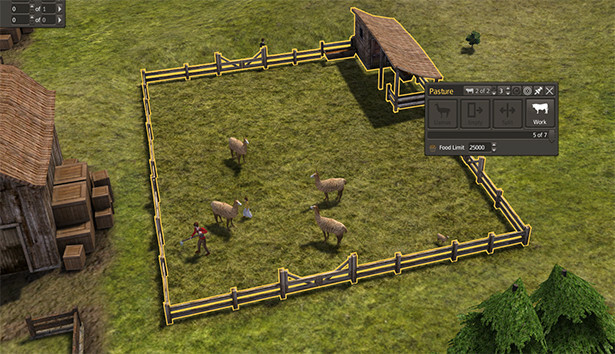 Llamas can be purchased from the trader and moved into pastures. They produce wool over time, slaughtered llamas yield a new dark red meat called "Charki". They are animated (although the walk is a beta), have their own sounds and textures. - Simple walk animation to be replaced with a more detailed version. - Might tweak the idle animations from time to time, its just a detail thing. - Considering also including a low amount of leather for slaughtered llamas... but this would make them nearly the ultimate animal :O (well, excluding laying eggs lol). - Updated the package file. You must update to this version. Do not use earlier versions.